1. Niharika Barik, a 1997 batch IAS and present divisional commissioner of Bilaspur, will be new secretary in Gramodyog department. She is also given additional charge as secretary culture and tourism. Ms Barik, 47, originally belongs to Odisha. She did M.Phil in sociology before getting into IAS. 2. TC Mahavar, current commissioner of Ambikapur division, is new commissioner of Bilaspur division. 3. Collector of Bastar district and 2004 batch IAS Amit Kataria has been appointed as Mission Director, Sarva Shiksha Abhiyaan and Managing Director, Rashtriya Madhyamik Shiksha Mission while Kabeerdham Collector Dhananjay Dewangan will take his place. Kataria is a B.Tech from IIT-Delhi and hails from Haryana. He had earlier served as chief executive officer of Naya Raipur Development Authority. 4. Sukma collector and 2008 batch IAS Niraj Bansod will now be Kabeerdham collector. This 38-year-old officer originally belongs to Maharashtra. He did his Bachelor of Engineering from Yeshwantrao Chavan College of Engineering. Later, he completed his PG diploma in forestry. 5. Chief Executive Officer of Bilaspur Zila Panchayat Jai Prakash Maurya is appointed as the new Sukma collector. 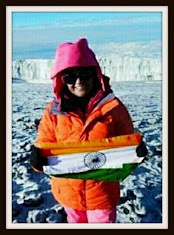 Maurya, 36, is a 2010 batch IAS and originally belongs to Uttar Pradesh. He did BA in philosophy and MA in modern Indian history before getting into IAS. 6. Tamansingh Sonwani, collector of Narayanpur district, will be new Kanker collector. He was promoted from the state civil service. 7. Joint secretary in General Administration Department (GAD) Topeshwar Verma will be new collector of Narayanpur district. Verma is a promoted IAS officer. 8. Mukesh Kumar, 2005 batch IAS and current collector of Rajnandgaon district, will be new joint secretary to the Chief Minister's Office. He is also given additional charge as director of aviation department and also CEO of Naya Raipur Development Authority. Kumar, 38, hails from Punjab. He did MBA in international business from Patiala University before getting selected as IAS. 9. Surguja collector and 2008 batch IAS Bhim Singh has been appointed as collector, Rajnandgaon. Originally hailing from Haryana, he did MA in sociology from Jawaharlal Nehru University (JNU) before getting selected as IAS. He is 41 years old. 10. Reeta Shandilya, 2003 batch Indian Administrative Service (IAS) officer, currently collector of Bemetara district, is the new divisional commissioner of Surguja. She was promoted from the state civil services. 11. Current collector of Durg district R Shangeetha has been appointed as special secretary, General Administration Department (GAD). Ms Shangeetha, 39, is a 2005 batch IAS. She will now also handle the additional charge of the post of director, Budget. She originally hails from Tamil Nadu. She is an LLB from Delhi University and MBA in finance. She also did a course on inner engineering leadership programme at Coimbatore-based Isha (Foundation) Yoga Centre. 12. Umesh Agrawal, now collector of Mahasamund district, will be the new Durg collector. He was promoted from the state civil service. 13. Him Shikhar Gupta, 2007 batch IAS and present managing director of Chhattisgarh State Marketing Federation (Markfed), has been appointed as collector of Mahasamund district. Gupta belongs to West Bengal. He did B.Tech in information technology before getting into IAS. 14. Shammi Abidi, presently collector of the Kanker district, has been appointed as Raigarh collector. 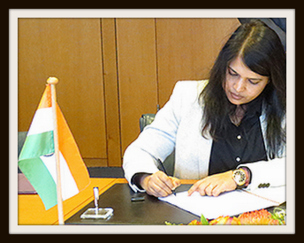 Ms Abidi, 38, is a 2007 batch IAS and hails from Uttar Pradesh. She is an MA in economics. 15. Ms Alarmelmangai D, 2004 batch IAS and present Raigarh collector, has been appointed as director of industries department. She is also given additional charge as director, geology and mining. She hails from Tamil Nadu. She did M.Com before getting selected as an IAS. 16. Anbalagan P, 2004 batch IAS and Bilaspur collector, has been appointed as MD of Markfed. He belongs to Tamil Nadu. Anbalagan, 38, did his masters in microbiology before getting selected as IAS. 17. Korba collector and 2006 batch IAS P Dayanand will be new Bilaspur collector. He originally belongs to Bihar. According to the data available in the DoPT, his mother tongue in Bhojpuri. He did MA in modern Indian history before getting selected as IAS. 18. Mission director of Sarva Shiksha Abhiyaan and 2007 batch IAS Mohammad Qaiser Abdul Haque has been appointed as collector of Korba district. He hails from Maharashtra. 19. Kiran Kaushal, 2009 batch IAS and present collector of Mungeli district, has been appointed as collector Surguja. She hails from Chandigarh. 20. Neelam Dev Ekka, current director of food and civil supply department, has been appointed as collector of Mungeli. She was promoted from state civil service.